Manage the appearance of your Workplace chatbot. 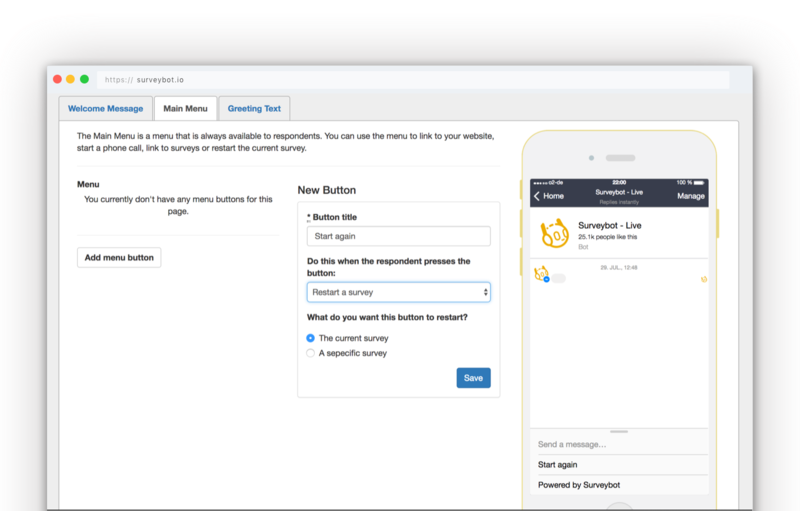 Configure how your survey bot appears inside Facebook Workplace when employees interact with it. Set your greeting text that appears to employees when they first open a conversation with your survey bot. Create advanced welcome messages to send to employees when they open a conversation with your survey bot. 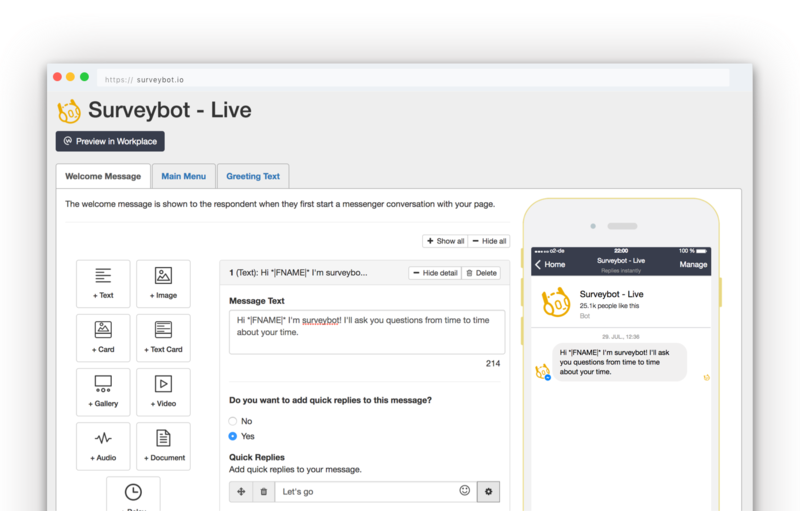 Automatically start your surveys when an employee opens a conversation with your survey bot. 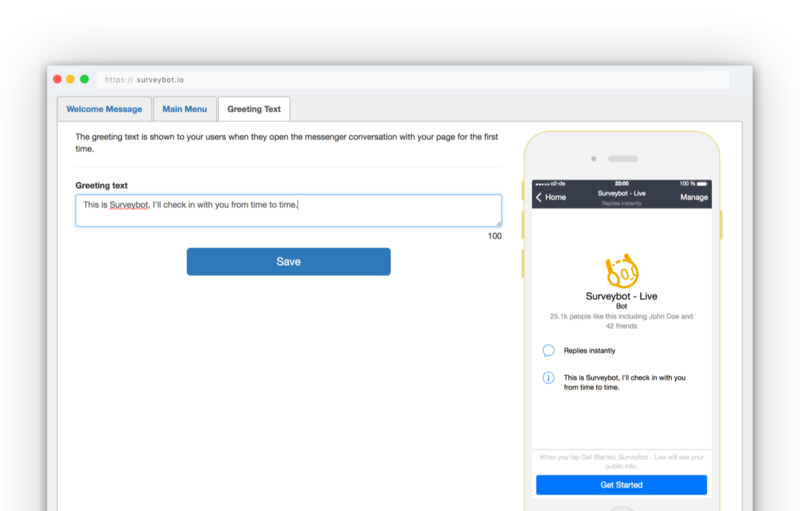 Send a series of messages to your employees when opening a conversation with your page. With an array of message types you can embed different content in to your messages. Use galleries to provide employees with different links to your surveys. Create menu items that persist inside messenger for your page. Link menu items to pages on your website for employees to view. Link menu items to start or restart surveys that you have created for your survey bot.